Bale was born in South Africa to English parents. His father, Philip Bale, was a Royal Air Force pilot. Bale grew up in England, Egypt, and the Channel Islands. He worked as a commercial pilot and later ran a commuter airline in England. His business activities included marketing imported jeans and skateboards. Bale was an activist for environmental and animal rights causes. He served as a board member of The Dian Fossey Gorilla Fund and the Ark Trust, which in 2002 became the Hollywood branch of the Humane Society of the United States. He also served as a board member for World Education, Inc., an international non-profit organisation known for its work in educational development, located in Boston, Massachusetts. Bale was married three times. His first marriage to Sandra Kreunen in South Africa ended in 1964 after she filed for divorce when he returned to England to visit his mother. His second marriage to Jenny James in England also ended in divorce. He had a daughter, Erin Bale Kreunen, from the first marriage, and three children from his second marriage: Louise, Sharon, and Christian, the last of whom became an actor. On 3 September 2000, he married the feminist writer, journalist, activist, and political leader Gloria Steinem. The wedding, in Oklahoma, was a private ceremony at the home of her friend Wilma Mankiller, the first female Principal Chief of the Cherokee Nation. At the time of the marriage, Bale had been facing deportation after overstaying his visa. Both Steinem and Bale denied that Bale's immigration status was the motivation for the marriage. Steinem had in the past been critical of the institution of marriage, saying that "marriage was the model for slavery law in this country". She said of her change in attitude toward marriage, 'I didn't change. Marriage changed. We spent 30 years in the United States changing the marriage laws. If I had married when I was supposed to get married, I would have lost my name, my legal residence, my credit rating, many of my civil rights. That's not true any more. It's possible to make an equal marriage'. 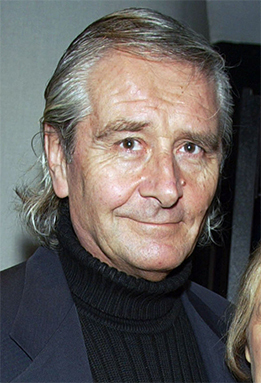 Bale died of brain lymphoma on 30 December 2003, at the age of 62. ^ a b c d von Zielbauer, Paul (1 January 2004). "David Bale, 62, Activist and businessman, Dies". The New York Times. Retrieved 30 June 2008. ^ a b c Rourke, Mary (4 January 2004). "Activist David Bale had commitment to Africa". The Seattle Times. Retrieved 30 June 2008. ^ "The Ark Trust, Inc. to Become Hollywood Office of the Humane Society of the U.S. Producer of Genesis Awards and Largest Animal Protection Organization Join Forces to Raise Awareness of Animal Protection Issues" (Press release). PR Newswire. 27 August 2002. Retrieved 30 June 2008. ^ "Feminist icon Gloria Steinem first-time bride at 66". CNN. Associated Press. 5 September 2000. Archived from the original on 21 April 2008. Retrieved 30 June 2008. ^ a b Rubin, Lauren; Dave Goldiner (15 September 2000). "Steinem: Wed for Love, Not for a Green Card". Daily News. New York. Retrieved 30 June 2008. ^ Delves Broughton, Philip (7 November 2001). "How the fish found her bicycle". The Telegraph. London. Retrieved 30 June 2008.